The profile comes to life with the Everything DiSC Productive Conflict Facilitation Kit, offering a classroom experience that engages and educates. With a dynamic, modular design, a customizable presentation, and contemporary videos, participants will walk away with a deeper understanding of their personalized profile and a memorable experience that inspires lasting behavior change. Everything DiSC® Productive Conflict is a classroom training and personalized learning experience that increases self-awareness around conflict behaviors and helps participants effectively respond to the uncomfortable and unavoidable challenges of workplace conflict. Rather than focus on a step-by-step process for conflict resolution, it offers personalized techniques to curb destructive behaviors so that conflict can become more productive, ultimately improving workplace relationships and results. The research-validated, online assessment asks participants to respond to behavioral statements on a five-point scale, including application-specific questions to help determine the participant’s Productive Conflict priorities. Built using the latest adaptive testing methodology, each participant receives precise insights to personalize their experience. 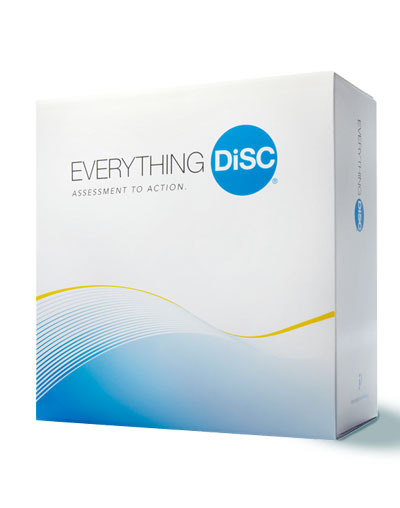 The Everything DiSC Productive Conflict Profile helps participants improve self-awareness around conflict behaviors. In this 22-page profile, participants will explore the destructive and productive conflict behaviors of each DiSC® style, learn how to manage their responses to conflict situations, and gain personalized communication strategies when engaging in productive conflict with colleagues. Extend the learning experience with our mobile-friendly, interactive learning portal that gives participants unlimited access to on-demand insights about DiSC and strategies for applying DiSC to real work situations. Inspire effective collaboration with Comparison Reports. Any two participants can explore their similarities and differences, potential challenges in working together, and practical tips for improving their working relationship. With no limit to the number of participants included, this report gives you an at-a-glance view of a group of participants and their individual Everything DiSC maps. Determine the group’s DiSC culture by exploring its advantages and disadvantages, impact on group members, and influence on decision-making and risk-taking.